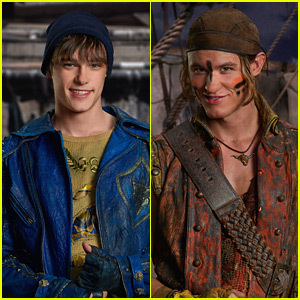 Christian Convery Photos, News, and Videos | Just Jared Jr.
Mitchell Hope and Dylan Playfair shed their shirts for the final day of Descendants 3 filming. The two great friends, who play King Ben and Gil in the movie franchise shared the hot pic on Dylan‘s Instagram this afternoon – and it doesn’t just feature him and Thomas. Christian Convery and Luke Roessler, who star as Squeaky and Squirmy, Smee’s twin sons, are also shirtless! “We’re here to make sure no trouble goes down… just in case you guys need some security look no further,” Dylan playfully captioned the shot.